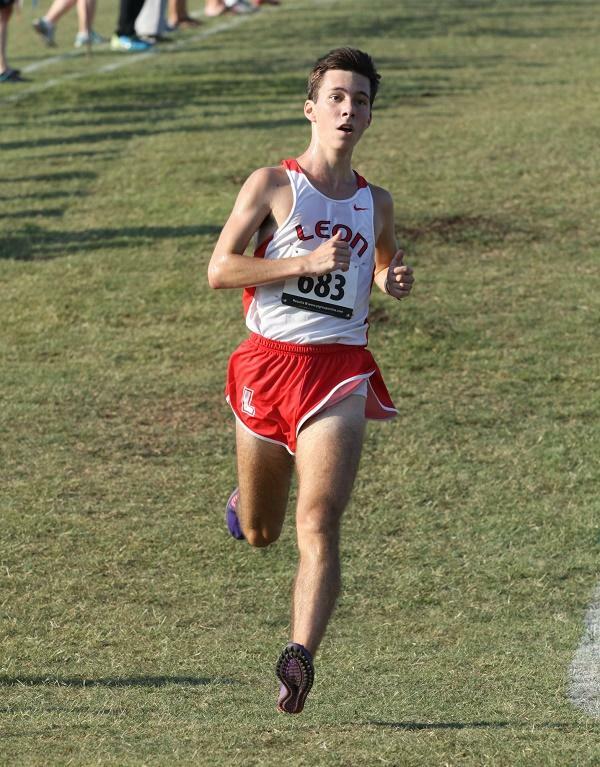 Matthew Cashin made a long trip up from Tallahasse (FL) and won the Individual race for Leon HS posting a 16:50. 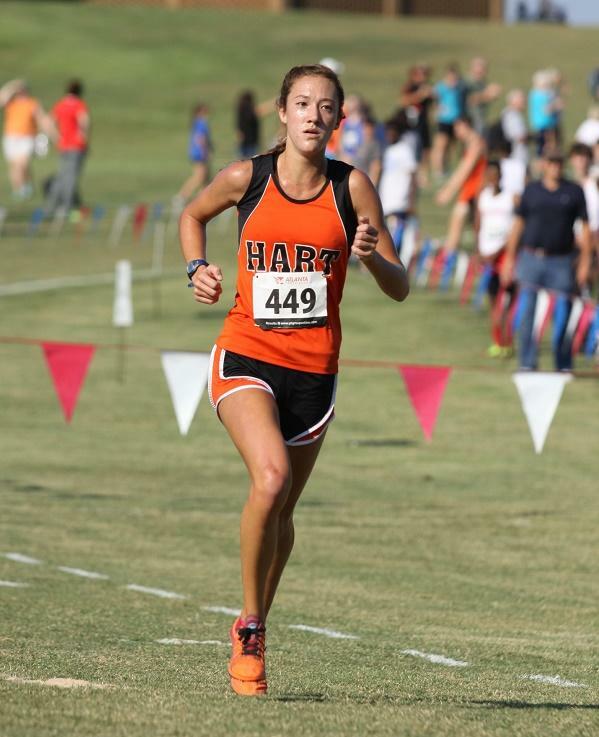 Alexander seems to get better with every race, and the Cougars ate up the fairway-like turf at Carrollton Elementary with a 17:25 team average and 46 point win over Sequoyah. 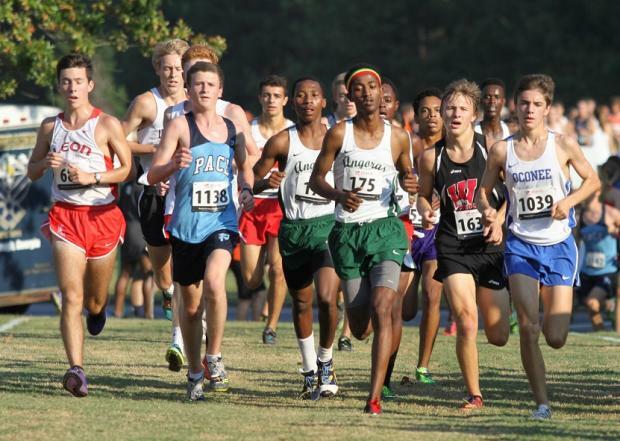 Pictured above is top AAAAAA runner Braeden Collins as he speeds towards the finish clocking a 16:46. 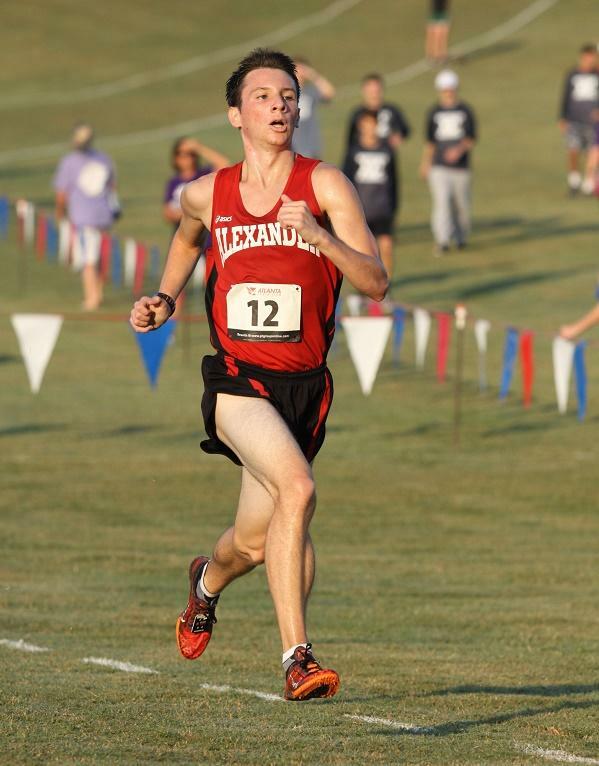 Austin Muse followed him in taking 2nd in 17:14. 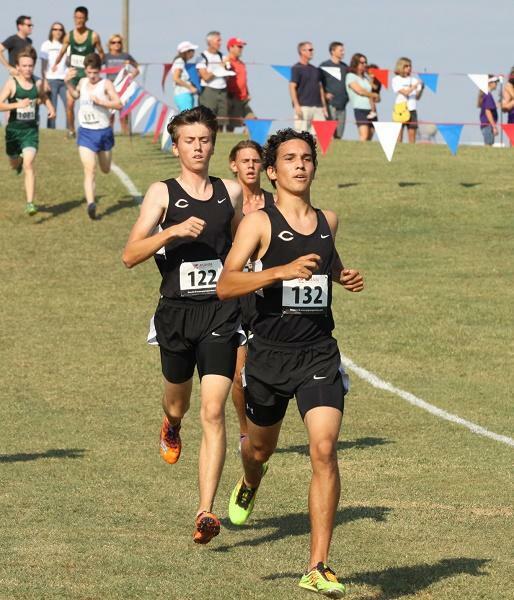 Its been a long time since Carrollton Boys won a race on their home turf at Ortho or Last Chance, but that changed Saturday as the Trojans took 1st in the 4A-5A race led by the duo of Donald Sener winning the overall in 18:46, followed by Chase Griffin a stride back at 18:47. 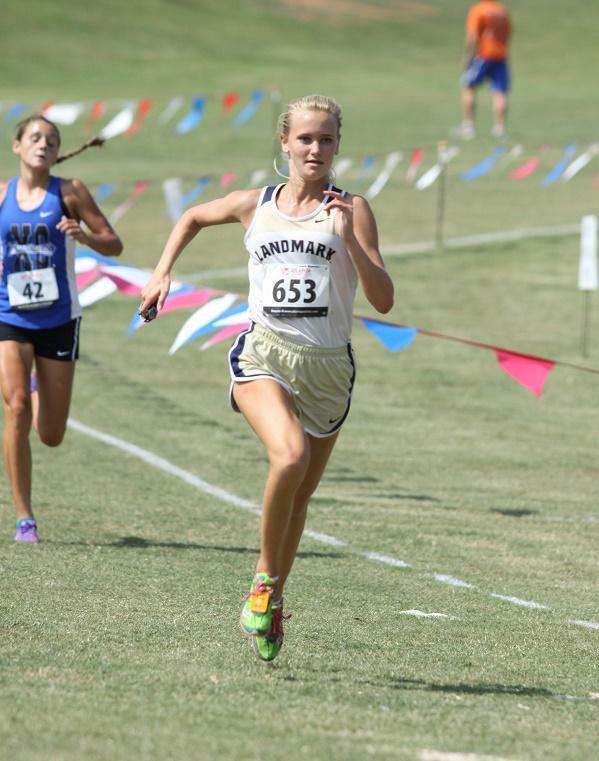 North Hall took a narrow 3 point win over an improving Landmark Christian squad in the A-3A race. 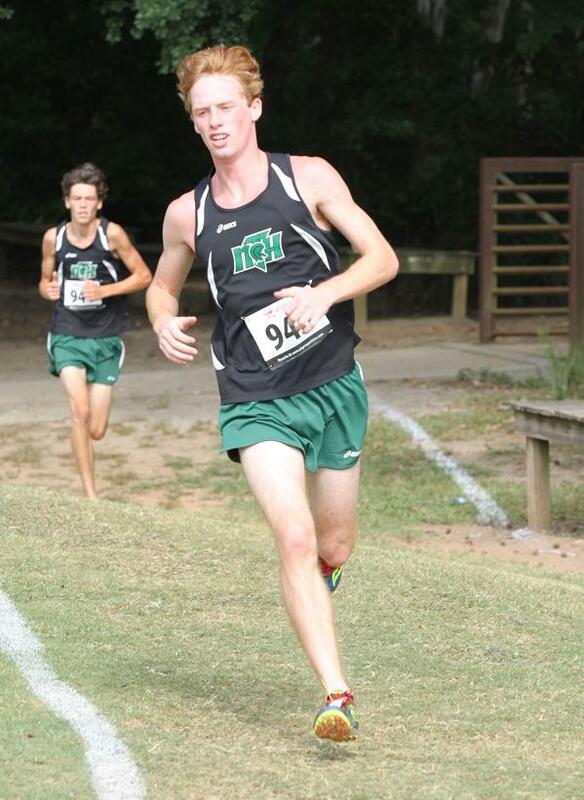 Tommy Johnston led the charge for North placing 1st in 17:50, with Devan Crow providing support back in 2nd at 18:45. 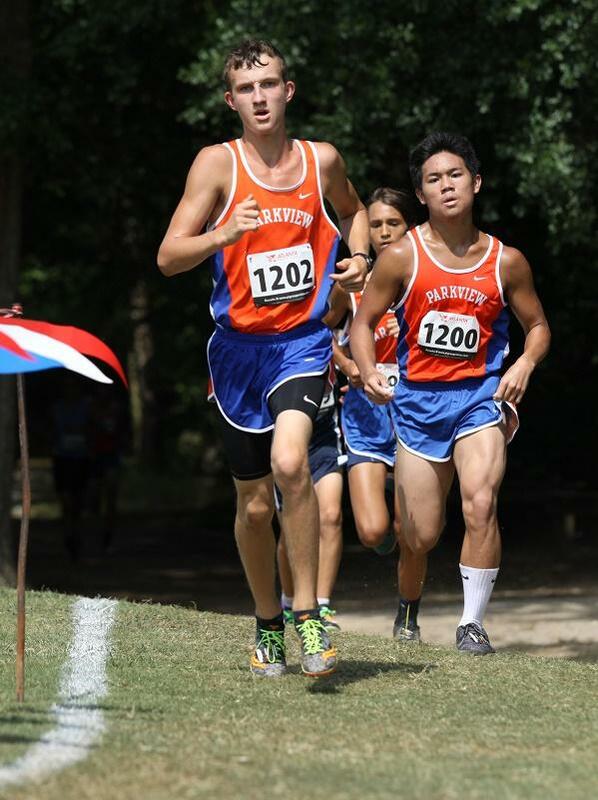 Parkview dominated the JV Boys race led by Jacob Wudtke in first at 20:00, and Tristan Autrey 2nd going 20:06. 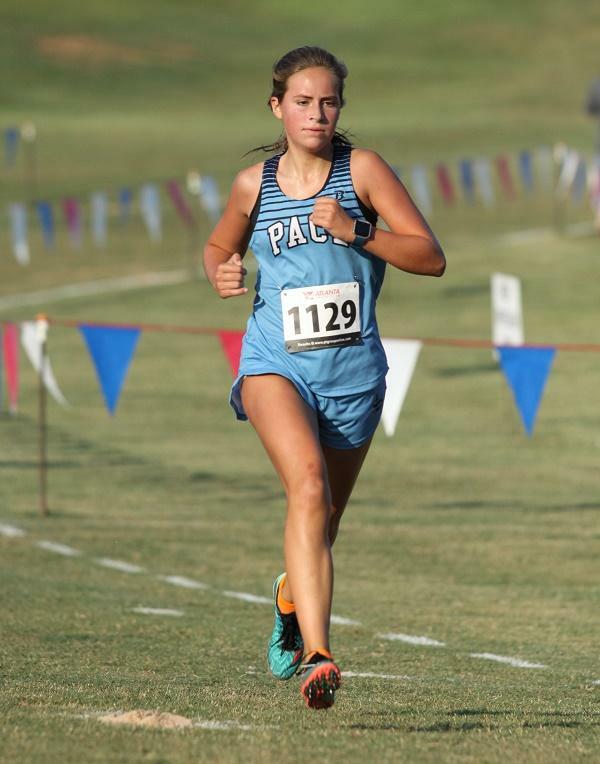 Payton Payne of Pace Academy strolled to the 6A-7A individual win in 21:02, leading the Knights to the team win as well. Don't count out Pace in AAA this Fall. 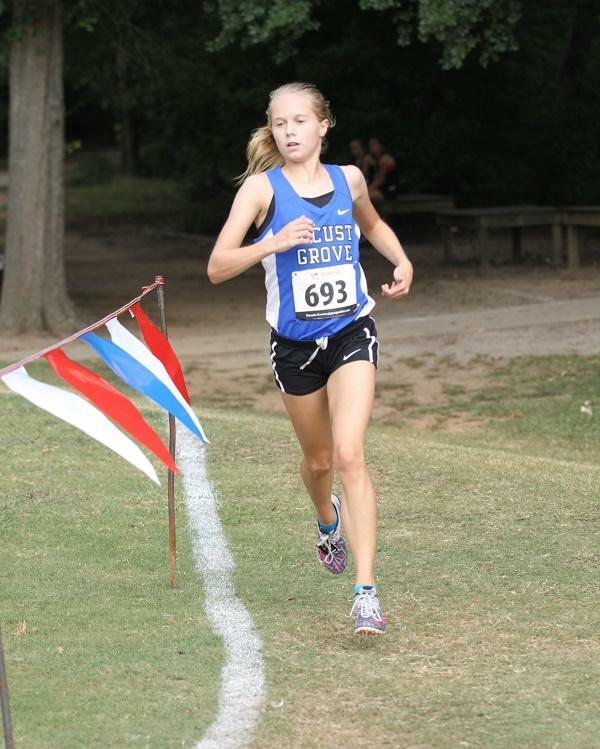 Madison Allie from Locust Grove is one of the top runners in AAAAA, and Saturday added an individual win to her resume in the 4A-5A race clocking a 20:34. 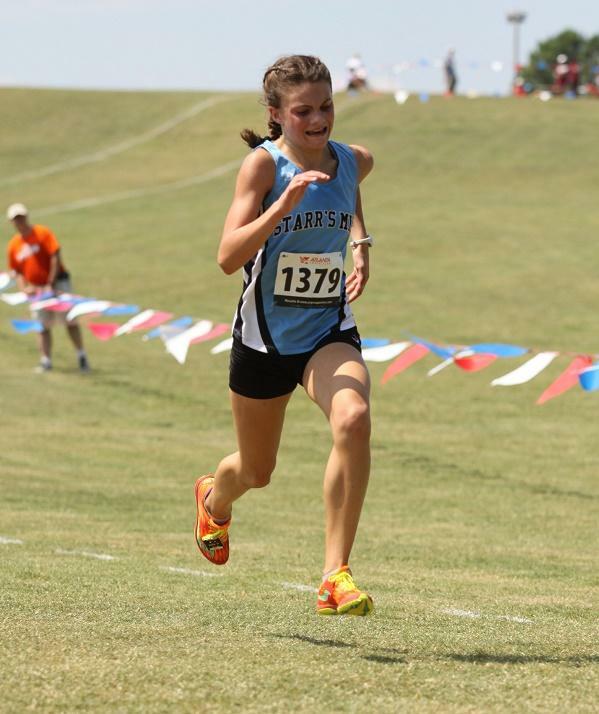 Westminster's JV quad won the team honors besting host Carrollton by 6 points.